The Zoiper 3 softphone is compatible with Android, iOS, Windows, Linux, Mac and Windows Phone. sipgate is a Zoiper Approved VoIP Provider. 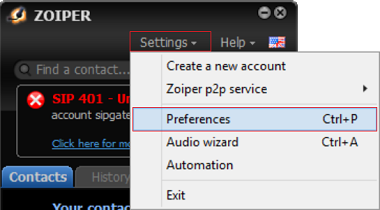 A pre-configured free version of Zoiper 3 can be downloaded here. 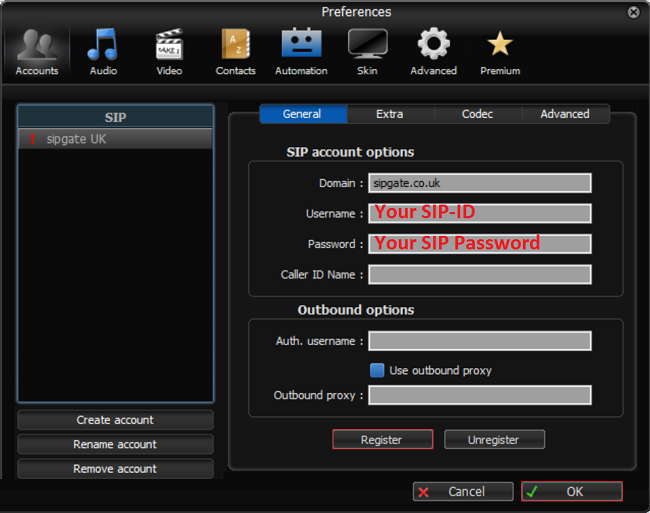 After installing Zoiper all you need to get set up is your SIPID and SIP Password. Click Okay to return to the Dialpad. Open the Advanced settings menu. Set your phone to use relatively high port values and disable "Open random port above 32000" Information about local port selection is available here. For information about local port selection click here and about sipgate's STUN server click here. The images in the above guide are taken from Zoiper Free 3.9.32144 32bit rev 32121 on Windows 8.1. 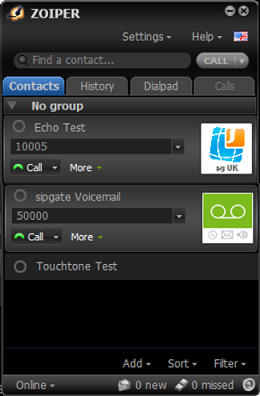 The layout of the interface on Windows, Linux and Mac OS will be similar.